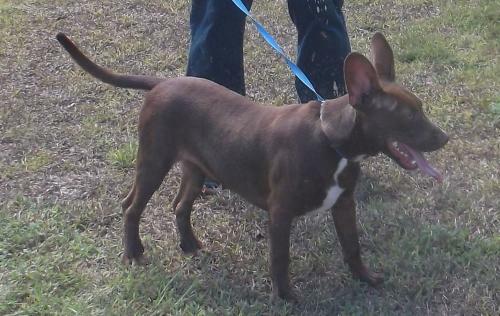 Nico is an 8 month Lab/Bull Terrier/??????mix. Looking for someone to pal around with? Look no farther. Anything you want to do, this little boy wants to do too. He loves baths, treats and belly rubs(not necessarily in that order.) If you want a loving and loyal companions whose looks will make you smile, Nico is it. Already neutered and up-to-date on vaccinations, he's ready for his forever home.